Mr. Abdou Sene, Supervisor for Primary Health Care. The project to promote Moringa oleifera as a tool in the struggle against malnutrition began in 1997 as a collaborative effort between AGADA and CWS. Moringa is a plant well-known by the people who use its leaves in the preparation of sauces which are eaten with couscous or rice; the tree grows everywhere in Senegal. women’s groups who might afterwards integrate Moringa into the daily diets of their families with a view towards preventing malnutrition from occurring. The training program put particular emphasis on the importance of good nutrition and balanced diets to assure good health. This pilot project was evaluated in December 1998. Given the satisfying results noted by health post staff and by the women who had participated in the training, the regional medical authorities strongly recommended that the project be extended to cover the entire region. During the course of 1999, the project was extended to cover all the health posts within the region of Ziguinchor. This report is an evaluation of the project’s activities and results. This evaluation, covering the three districts which comprise the region of Ziguinchor (Bignona, Oussouye, Ziguinchor), was led by a team from the Regional Medical Authority accompanied by a trainer from AGADA. The evaluation took place between 30 December 1999 and 11 January 2000. – determine the strong and weak points of the project training approach, both among health posts and among the population in general. The collection of information was done at the level of health posts, through interviews with individuals, and also at specific institutions which included the office of the governor, the house of corrections in Ziguinchor and the region’s radio station. For health posts, a sampling was taken within each district. Each of the three district hospitals was included in the sampling. For the population in general, group interviews were conducted in various villages. 1. The availability of Moringa products at health posts. 2. The number of health staff who have received Moringa training. 3. The plantation of Moringa trees around health centers. 4. The use of Moringa in the treatment of malnourished children. 5. The level of integration of Moringa in the daily diets of the general population. 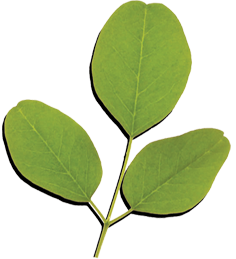 In 54% of the health posts visited, Moringa in the form of dried leaf powder was available. In four of the posts, packets of leaf powder were on sale at the pharmacy at a price of 25CFA (5 cents) per packet. Within the district of Bignona, the training of general populations has been so thorough that the leaf powder is very commonly used by families, so much so that the health posts no longer feel the need to keep their own stocks on hand. In Oussouye district, the leaf powder is now being used at the health post in Elinkine and at the center for the treatment of malnourished children. For cases of very severe malnutrition, where the child lacks an appetite, Moringa is given in the form of a syrup extracted from the juice of green leaves. Within the zones of Boucotte and Kabrousse, Moringa was not a part of traditional diets and as such the tree is not easily found in the area. Nonetheless, health agents working in these zones used Moringa to treat malnourished infants and adults with very positive and convincing results. Through interviews in Cabrousse with women who brought their sick children in for treatment at the health post, it was evident that they were committed to using Moringa to enrich their children’s diets. Within the district of Ziguinchor, Moringa is being systematically used in most of the health posts visited, particularly during the periodic infant weighing sessions when cases of malnutrition are identified and treatment with Moringa is prescribed. At the district hospital and health post at Kandialang, where Moringa trees are less common, the health workers underlined their difficulty in obtaining the leaves and the failure of their efforts to put in a Moringa plantation. As for Nyassia, the nurse present there was very recently transferred to the post and thus has not had Moringa training. 91% of the health workers at the centers visited have been trained in the properties and methods of using Moringa, and all persons who received the training conducted their own training sessions for their communities and women’s groups. The handful of health workers who have not been trained are either new to their posts or received the invitation too late to attend. Health agents in the district of Oussouye did not put in Moringa plantations because the tree is already very common to the area, used to create living fences around houses or grown to produce feed for livestock. Overall, after receiving their training 54% of health workers planted Moringa (64% in the Bignona district). Some plantations failed, however; notably those in Santhiaba, Kandialang and Sindian, due to the very poor soil types or devastation caused by animals. Moringa is being used to treat cases of infant malnutrition in 82% of the health posts visited in the district of Bignona and in 70% of the health posts in the other districts. For health workers, the periodic infant weighing sessions have been a very convincing means of measuring the effects of adding Moringa to the daily diet of a child. Each time Moringa has been prescribed for the treatment of a malnourished child, the cure has been more rapid than usual. This observation was confirmed through interviews with mothers of children who received treatment with Moringa. At the health center in Niaguis alone, 92 infants were treated with Moringa in 1999. Consumption of Moringa on a regular basis by families has become common in every village where health posts are located thanks to the training done by the health workers based there. Use of Moringa is most pronounced in families where a malnourished child was cured through Moringa treatment. Within the district of Oussouye, households making regular use of Moringa are those which have had the most contact with the regional vaccination program and the infant weighing sessions at the two health posts in Elinkine. (Faithful Moringa users told the team about the results they have obtained through consumption of Moringa). Sporadic cases of households using Moringa regularly were also noted in Boucotte and in Cabrousse. During interviews with women in Cabrousse, it was noted that Moringa is not a part of traditional diets in this zone, but given the many benefits of Moringa revealed during training sessions, mothers of malnourished infants have used the product with success and continue to approach the local health workers to obtain more information about Moringa. A Moringa plantation intended to benefit the inmates of Ziguinchor’s prison was planted by the prison inmates in the garden behind the governor’s office. However, this project came to a halt after the prison staff who had received Moringa training were all transferred to other posts. The gardener had not been informed of the intended use of this plantation and cut the trees down. The process of the project becoming self-sustainable is well underway. People feel the necessity of having their own trees since Moringa is now considered to be a precious commodity (owners of trees no longer allow their neighbors to harvest them). There is a good level of awareness about the properties and ways of using Moringa, both among health agents and within local communities. Moringa leaf powder was found to be available in more than half the health posts visited. The value attached to Moringa has been enhanced by the fact that health agents prescribe it and offer the powder for sale in pharmacies. A reduction in levels of infant malnutrition in the region, noted by health agents and other persons interviewed and verified by statistics kept between 1998 and 1999 by the health post in Niaguis. Some health agents teach by example: they have begun to regularly use Moringa for their own families. Through such examples local communities have become rapidly convinced about the utility of Moringa. Insufficient follow-up: certain aspects of the program would be improved with greater supervision. Non-implication of certain structures which treat a considerable number of malnourished infants, pregnant and lactating women (example: Community Nutrition Centers). Poor development of Moringa’s ability to purify drinking water, which could otherwise contribute to reducing levels of malnutrition. Insufficient training of communities in certain zones (Nyassia, Kandialang and elsewhere in the district of Oussouye). Pursue the current strategy, but increase the project’s means to enable a better consolidation of achievements. Provide assistance to the health posts where the Moringa plantations failed, through periodic visits and training in cultivation methods. Put a particular emphasis on Information-Education-Communication (IEC) through the organization of a special day around Moringa with the participation of influential people. Conduct training seminars for the personnel attached to Community Nutrition Centers. Integrate the various aspects of Moringa in general health supervision work, community and household visits in particular. Increase and intensify training of communities, especially in those districts where Moringa is not yet well-implanted. Bring in people who have already used the plant to share their experiences. Solicit help from technicians from other government departments (agriculture, extension service) to promote inter-departmental collaboration. Offer Moringa powder for sale in health post pharmacies. Develop strategies for the intensive production of Moringa with a view towards creating income-generating activities (for women and youth in particular). Plant Moringa trees within existing garden blocks. The project to promote Moringa products to cure or prevent malnutrition has had a satisfactory level of achievement, determined by the evaluations conducted at the end of 1998 and the end of 1999. The convincing results proclaimed by health agents as well as by local communities constitute an argument for the extension of the project to other regions affected by the problem of malnutrition: a complex phenomenon, yet one for which Moringa presents a simple, easy and effective solution.